Today’s B2B marketers are under constant pressure to create a steady stream of worthwhile and relevant content. Sitting down to map out a content marketing strategy can greatly benefit you in the long run. 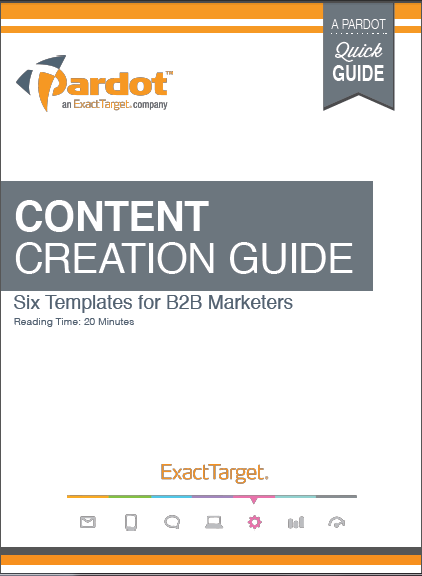 Download the Content Creation Guide to get access to six templates that will contribute directly to the success of your content marketing efforts. Save Time & Money. Understanding how the content you are creating relates to your overall business goals can help you to rule out unnecessary projects. Stay Focused. Mapping out the needs of your prospective buyers enables you to produce more valuable and effective content. Get Organized. Planning a timeline for the distribution of your content ensures that your content is relevant and flows logically.